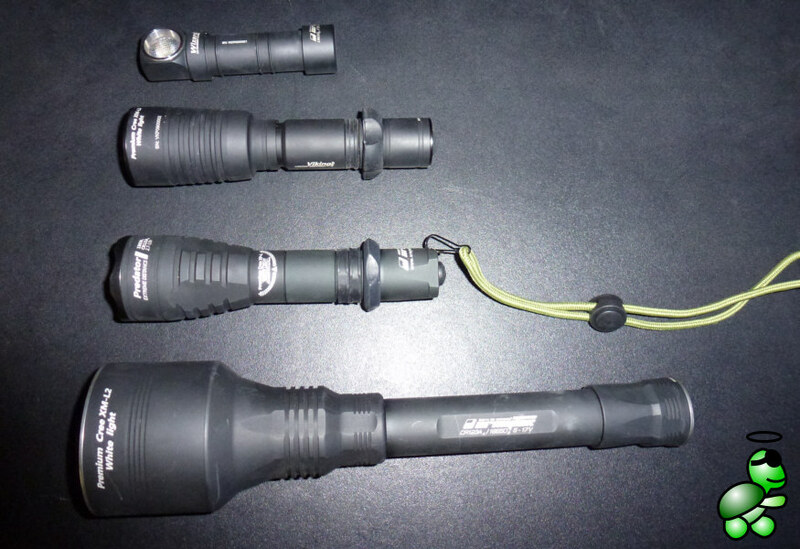 In the first review of my four Armytek flashlights, I take a detailed look at the Wizard Cree XM-L2 LED 1200 headlight. This is a compact and very versatile flashlight with very impressive light output. Disclaimer: Supertortuga is in no way connected to or endorsed by Armytek nor any other manufacturer or supplier. The opinions expressed here only reflect the personal opinion of Supertortuga. 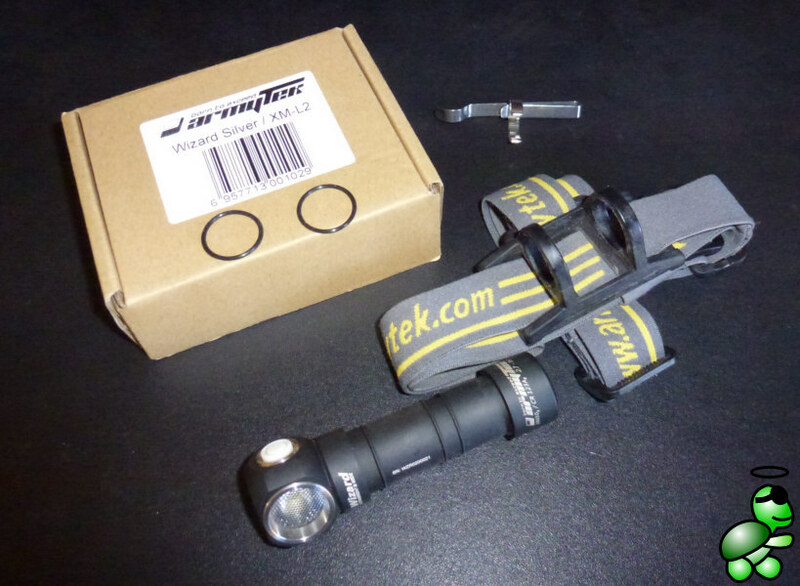 This article describes the ArmyTek Wizard Cree XM-L2 U2 LED 1200lm 80m Cool CW Headlight. In the review I will give my personal view on how well this flashlight fulfills everyday tasks. This was the first Armytek flashlight I ever owned, I bought it on Ebay back in December 2014. The headlight came in a small box with a headband, a silicone holder, a clip and two spare O-rings. I purchased a charger and two 18350 lithium 3000 mAh rechargable batteries separately (later I also purchased a pack of four Panasonic 3400 mAh rechargable batteries). The first impression was that the headlight is small and lightweighted. I immediately mounted it to the headband, and even though it can be used like a handheld flashlight, it really becomes useful when used as a headlight with both hands free. The over all quality of the headlight is excellent, with the body of mat black coated aluminium, giving a good grip, and being waterproof. The headlight is really easy to handle. It has various working modes, which are suitable for different situations. I have not checked the actual runtime compared to the official specifications (I have never had to use the headlight during so long in maximal mode), but what I can say is that the runtime is really awesome (compared to other flashlights I have owned). To a certain degree, this depends on the capacity of the lithium battery, but it is clear that Armytek has done a great work designing the electric circuit. I initially used the headlight when going out with my dog during the darker part of the year. The headlamp gives a strong light on a quite wide angle, and makes it possible to move in any terrain even when using the lower power modes. This model of the headlight has a turbo mode, giving a maximal 1200 lm light output, which will be more than sufficient to move in any light conditions in any terrain. I have found myself using the mode main2, which gives a 200 lm light output, which is sufficient for most of the times. When using the turbo mode or main3 mode, I have in several occasion been approached by other persons, who have been impressed by the powerful light source, and even more so when seeing the small body of the headlight. Being waterproof, I have never hesitated to use the headlight, even in heavy rain. I have also used the headlight for some of my running sessions. I normally run on smaller non-asphalt roads or off-road tracks, and I found that the light output is so effective that I feel comfortable running at night even without any other external light source. The headlight is so light that it does not feel unconfortable wearing it, and the one button makes it very easy to change output mode depending on the ambient light. The Armytek Wizard headlight has also served me in my house, during maintenance work. I previously owned a small LED headlight, but after using the Armytek headlight it seemed to be very weak in comparison. The below video was shot when taking out my dog for a walk through the orange plantations. It was shot using my mobile phone (a Sony Xperia Ray with a decent camera sensor). While it does not pretend to be conclusive, it will give you an idea of what kind of light output you can expect from this headlamp. The following technical specifications are found on the official Armytek website. This was the first Armytek flashlight I bought, and having used and compared four different Armytek products during a year, it is the use I have found most useful and versatile for everyday usage. 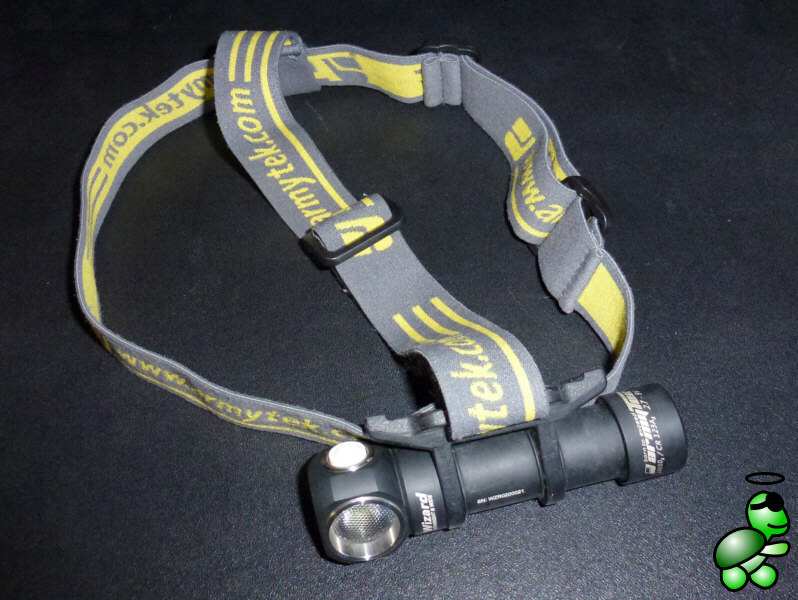 The combination of a small and lightweight flashlight used with the headband gives it a very wide range of usage. Even though the price of this headlight is high (I paid around 50€ including shipping) compared to other products, thanks to its excellent quality and usefulness, I would recommend it to anyone looking for a small general purpose headlight.